Masataka Endo has spent his fair share of the past two decades walking an average of 30 kilometers a day in search of missing animals. In a typical day, the 41-year-old will talk to a wide range of people in the neighborhood where the animal was last seen, post flyers advertising its disappearance and, from time to time, even get down on all fours to peer into undergrowth that offers missing animals the perfect cover to remain hidden. Endo is a pet detective but, unlike the fictional character played by Jim Carrey in the 1994 film “Ace Ventura,” his work is no laughing matter. Cats are excellent at hiding and account for the largest number of animals reported missing each year, Endo says. However, this sleuth has a little trick up his sleeve when he’s on the prowl — when looking for a missing cat, search from the feline’s perspective. “A cat’s eye level is below that of a human being,” Endo says, adding that they must be searched for on foot. Endo started out as a pet detective in his 20s at a different agency. He now leads a 10-member team at Japan Lost Pet Rescue, which finds missing animals. Founded in 2011, the Tokyo-based service is one of several pet detective agencies in the country. Japan loves cats, something that is reflected in a plethora of literature (most obviously, Natsume Soseki’s “I Am a Cat”), TV programs and movies featuring them. Cats have even been given official stationmaster titles at a number of railway stations nationwide. 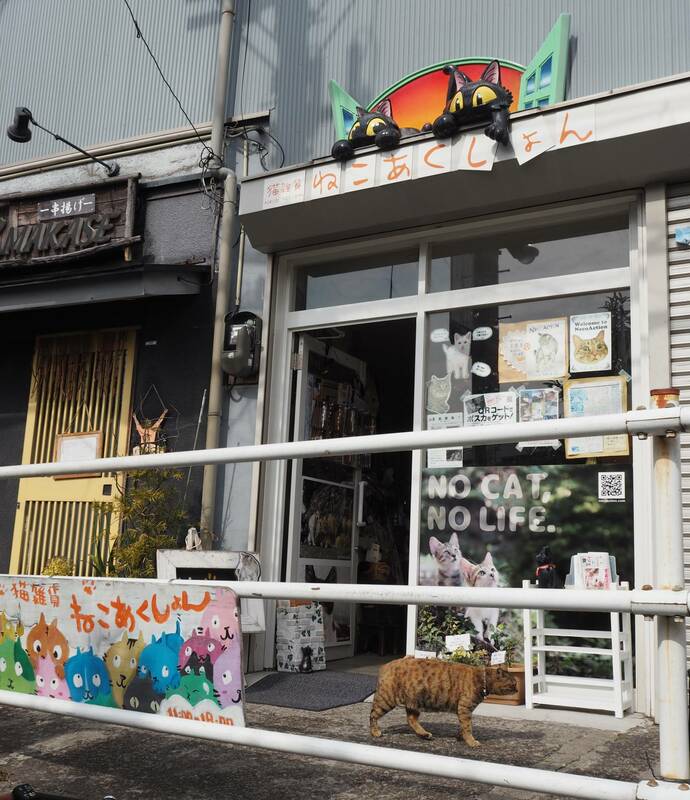 The country is also awash with cat cafes, cat-themed shops and exhibitions such as Neko Break Exhibition, which features felines popular on social media. In December, the Japan Pet Food Association released its annual survey, based on online answers from more than 50,000 people, showing that the estimated number of pet cats eclipsed dogs in Japan for the first time since comparable data were available in 1994. The figures put the number of cats in Japan at 9.53 million in 2017, a number that has remained almost unchanged in recent years. By comparison, the number of pet dogs in Japan stands at 8.92 million. Izumi Takei, a self-professed “nekonomist” — a portmanteau of “neko,” which means “cat” in Japanese, and Takei’s background in economics — says Japan currently has around 15 million children under the age of 15, a figure that perhaps puts the country’s cat and dog populations in context. Takei, 42, owns two cats and says that pets are more likely to be treated like children by their owners as a consequence. Endo, meanwhile, says Japan is in the middle of a cat boom. “The increase naturally leads to an annual rise in the number of cats on the run,” Endo says. 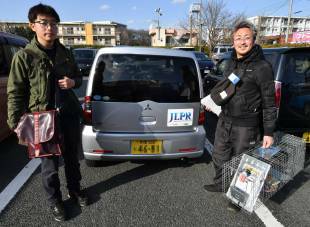 Japan Lost Pet Rescue handles 500 to 600 cases per year, of which 70 to 80 percent involve cats, 20 to 30 percent dogs and the remainder involve other animals such as birds, rabbits, snakes and ferrets. Its clients are mostly from Tokyo and its vicinity, followed by populous cities such as Osaka, Nagoya and Fukuoka. “Cats are more likely to run away, seizing whatever window of opportunity presents itself,” Endo says. Some owners aren’t aware that cats can be smart enough to open sliding doors, while first-time owners who are unfamiliar with cat behavior unwittingly let their animals run wild. Other owners lose their pets during trips back to their hometowns or while on vacation, with cats escaping into mountainous areas or disappearing from highway rest areas. In some cases, owners need to return to work and cannot stay behind to look for their strays and, therefore, seek help. Endo says summertime is a particularly busy time of year for pet detectives, with springtime also proving troublesome as cats start to mate. Indoor cats make up the majority of missing animals, although it’s not uncommon for former strays or outdoor cats to disappear. Unsurprisingly, social media has given owners of lost pets more access to information they previously struggled to obtain. 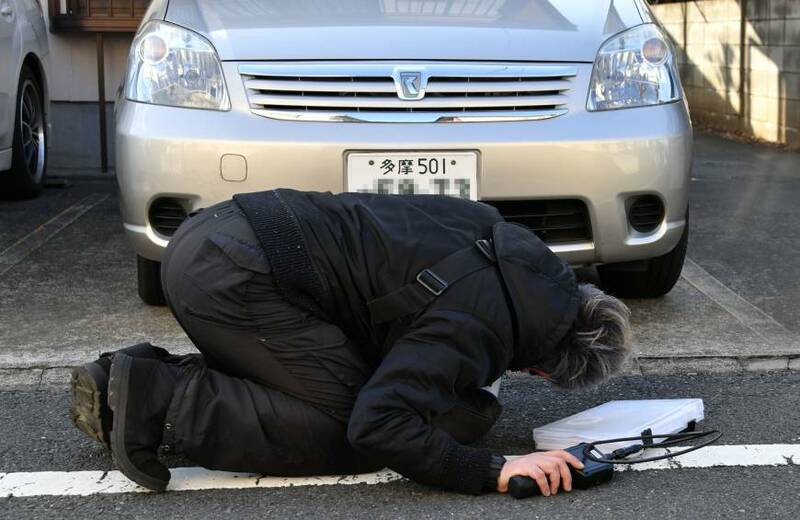 When a pet goes missing, owners should first notify local entities such as city or prefectural government divisions, ward offices, animal control offices and local sewage departments for information about an animals who have been involved in an accident. Endo says those who turn to Japan Lost Pet Rescue usually seek help three days to a week later — after they have exhausted all other options. 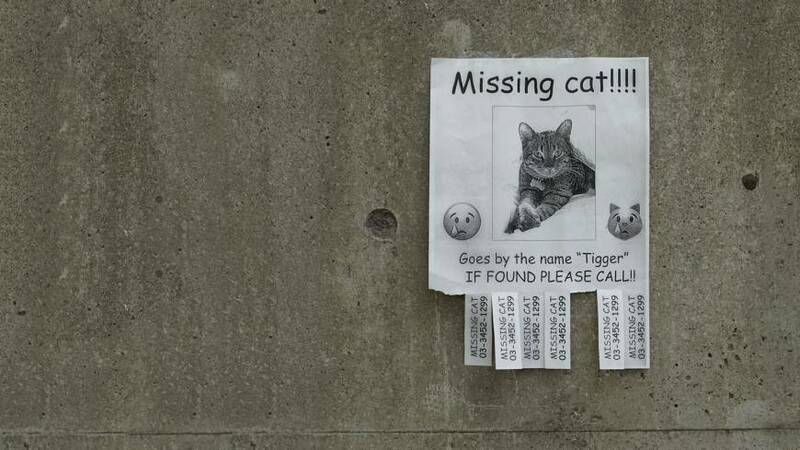 Interestingly, a missing cat has been found in a neighbor’s house or even in its owner’s house more than a week after it first disappeared. This can happen in spite of the owner’s attempts to find their animal. “That just shows how good cats are at hiding,” Endo says. The manner in which pet detectives search varies based on a missing cat’s profile and depends on things such as gender, age, personality, whether they are an indoor or outdoor cat, and whether they have been neutered. Male cats, for example, typically roam over greater territory than female cats, while indoor cats are unlikely to travel as far as outdoor cats. The surrounding environment also determines the range in which a missing cat could wander, Endo says. If a cat runs away from a residential area in a city, it’s easy to imagine that the animal can find a place nearby in which to hide. In the countryside, however, the lack of buildings might allow cats to travel further. Endo goes on to say that cats “who are extremely wary and fearful are difficult to catch,” and likely won’t come out during daylight hours. In the case of a missing timid cat, nocturnal searches typically prove to be most successful — sometime between midnight and 9 a.m. when less people are in the area. Cats are “easier to find,” though, due to their narrower sphere of activity, Endo says. It’s much more difficult to track birds and dogs because they move faster and their behavior is less predictable. Japan Lost Pet Rescue claims an annual success rate of 85 percent in locating missing cats, adding that this would also include those found after a three-day search — the standard package — based on tips and eyewitness reports. By comparison, the probability of finding a missing dog stands at 80 percent, while the chance of locating a missing bird is less than 50 percent. Animals such as ferrets, snakes, rabbits and turtles have a success rate of 75 percent. Whichever animal is missing, it’s important for professionals to begin their search as quickly as possible. After interviewing owners, pet detectives then distribute flyers, familiarize themselves with the neighborhood, talk to residents and set up traps over a period of three days. 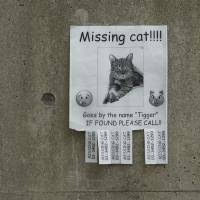 Around 100 posters are pasted on certain locations and about 1,000 flyers are distributed for a missing cat. By comparison, about 300 posters are put up and 1,500 flyers distributed for a missing dog or bird. Takei says cats have surpassed dogs as the preferred house pet in the country for a number of reasons. Takei also points to the influence of social media — with more people uploading photos of their cats on Facebook or Instagram — in fanning adulation toward felines. The average cost of keeping a cat, which eat significantly less, over the span of its life is about ¥1.08 million, much lower than the ¥1.6 million it costs to keep a dog. 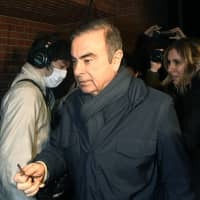 Takei, who works as a chief research analyst at Mitsubishi UFJ Research and Consulting Co., a think tank of Mitsubishi UFJ Financial Group, says the smaller accommodation that is available in Tokyo typically makes it easier to keep a domesticated cat. Revered as gods in ancient Egypt, cats traveled across the world and reached Japan through China. 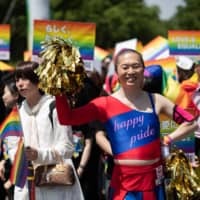 They are believed to have arrived in Japan in the sixth century after a mission to China’s Tang Dynasty brought home with them the sacred Buddhist scriptures. Cats were initially utilized to protect sacred scrolls at temples from mice, but literature says cats eventually became adored as pets around the ninth century during the Heian Period. Records show that the oldest pet cat belonged to Emperor Uda (867-931). It wasn’t long before cats became loved not just by members of the nobility but by ordinary households. The domestic cat industry has grown in recent years and a number of cat-related merchandise and services now exist, including hotels and hospitals. In a 2016 report, Kansai University professor emeritus Katsuhiro Miyamoto estimated that the economic impact of the domestic cat industry in 2015 was around ¥2.32 trillion. Long before the recent interest in cats, however, a couple lovingly put together a monthly newspaper called Neko Shimbun (The Cat Journal). The eight-page newspaper was launched in 1994 at the instigation of 78-year-old Ryokuro Haraguchi, who wanted to create cat literature amid discouraging news worldwide. Unfortunately, Haraguchi suffered a stroke in 1995 and the newspaper was shut down. Relaunched in 2001, the paper has since been circulated in Japan and abroad, running on subscription fees and donations and carrying no ads. 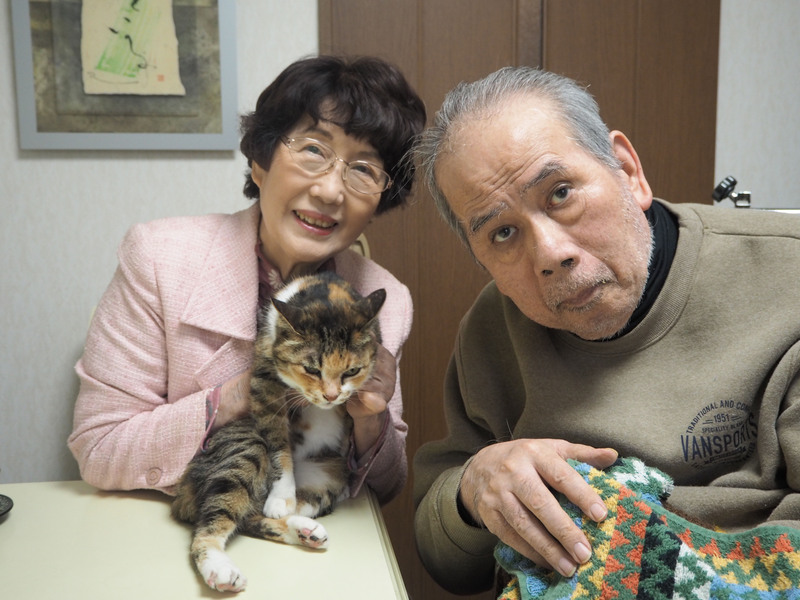 Haraguchi’s 77-year-old wife, Michiyo, says the newspaper’s cover page features either a painting or a drawing of cat alongside a poem or prose, shunning the need to publish a real cat photograph (something that is all the rage with other media organizations). Neko Shimbun also offers inspirational literary pieces by famous cat-loving writers such as Seiichi Morimura. 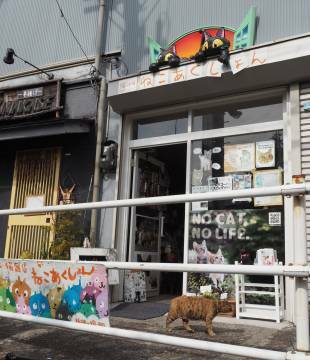 Shinya Saoshiro, an official of the Yanaka shopping street association, says it might be more accurate to describe the neighborhood as “a town where cats continue to explore and blend in” — a description thanks in part to the downtown atmosphere retained by buildings in the area. 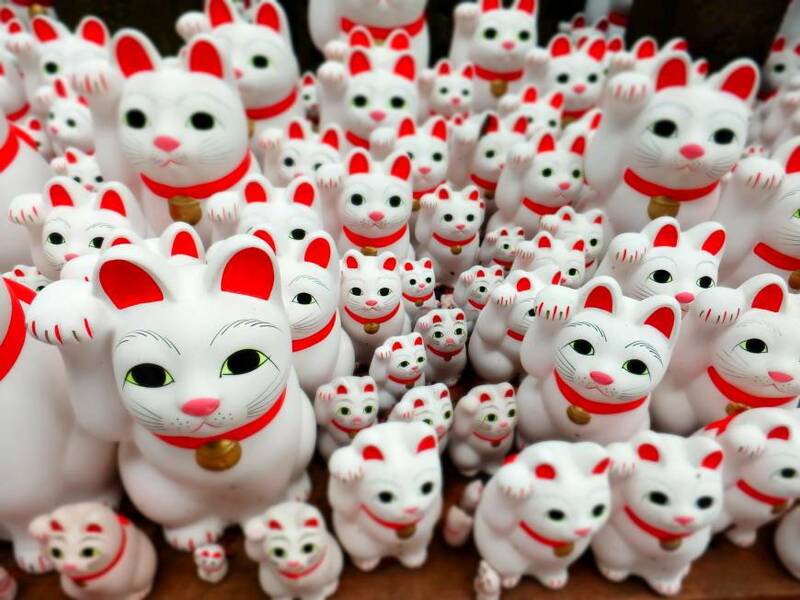 Mayumi Asano, who owns a shop selling original manekineko (lucky cats) in Yanaka, says she is flooded with orders from Japan and overseas. Due to popular demand, the shop now offers a session at its cafe in which visitors are given the opportunity to paint a manekineko, the 56-year-old says. With cats increasingly being seen as part of the family, some owners turn to spiritual guidance when searching for a missing pet. A shrine in western Tokyo dubbed “Nekogaeshi Jinja,” or “Cat Return Shrine,” offers just this service. The nickname was coined by jazz pianist Yosuke Yamada years ago when he wrote in an essay about his experience of having his cat missing for 17 days, only to find that the animal returned to him after praying at Azusamiten Shrine. 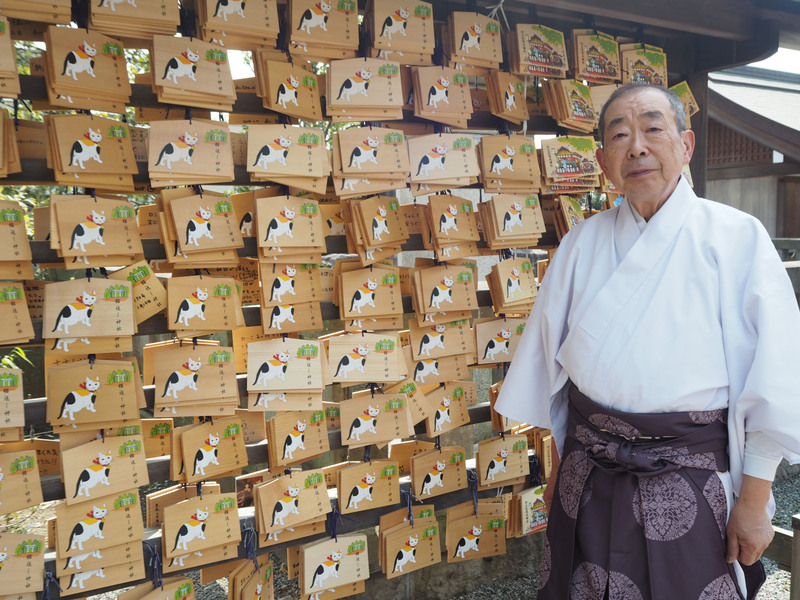 Hiroshi Miyazaki, a priest at Azusamiten Shrine, was surprised to learn about the shrine’s growing popularity. Curious, the 74-year-old looked into its history. Miyazaki found that a shrine within the compound’s precincts had anointed the cat as a guardian for silkworms (which mice prey upon). People these days now hang an ema (wooden plaque) praying for their cats’ return and good health, and some visit to thank the shrine for granting their wishes, Miyazaki says. 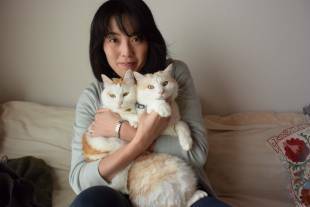 The hunt for missing cats has also gone hi-tech, with Tokyo-based firm Open Stream Inc. developing a Nekomoni transmitter by using low-energy bluetooth. 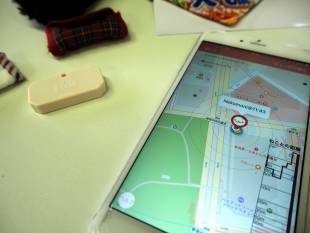 The device went on sale in June last year. Nekomoni, used in tandem with an iPhone, is the brainchild of Takanori Saito, director of Open Stream, who came up with the idea after his cat disappeared one day. “There is a need for this product, considering the way in which cat owners may have experienced their pets wandering off,” Saito says. The transmitter is compact, weighing just 10 grams and featuring an internal battery that lasts for one year. 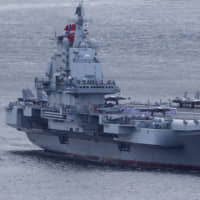 It can transmit signals up to 75 meters away. Saito, 44, hopes this item would encourage owners to look for their cats and, if all else fails, the product has insurance to use pet detective services. Despite new devices emerging, traditional ways of searching for missing cats is likely to continue. Endo says the terms “3K” — “kitsui,” “kitanai” and “kiken,” which describe jobs that are “difficult,” “dirty” and “dangerous” — somewhat fits the job description of pet detectives. Imagine having to walk around for nine hours a day, crawling around on the ground and using flashlights at night in what could be viewed as suspicious behavior from passers-by. To this day, Endo still experiences that rush of happiness when a lost cat is found. “Next to funeral operators and doctors, I think this is a job where one sees a person crying from the get-go,” he says, referring to his first meetings with clients. 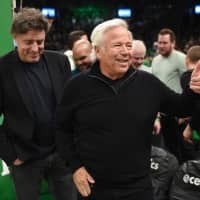 However, he has also witnessed the initial tears of sadness turn into tears of joy when the owners are reunited with their pets.